Hometown Hero Project is now a Public Benefit Corporation! With over 8,000 members and 1.2 million unique visitors each month, the Hometown Hero Project is one of the most comprehensive online directories of resources and information for Military, Veterans, 1st Responders, Law Enforcement Officers, Teachers and their loved ones. There are pages for everyone! We are honored to serve the needs of all our heroes! 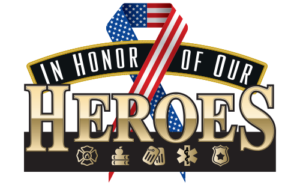 Hometown Hero Project is dedicated to connecting active and retired Military, Police, Firefighters, 1st Responders and Teachers with organizations and businesses who provide resources and services for our Heroes. Unique Branding and Awareness opportunities that instill emotional connections with all Americans. Targeted Marketing Strategies to help increase your exposure. Reduced Business Expenses by delivering advertising productions that can be used in any other marketing. Connectivity Tools to build lasting relationships with your community. Organization Listings in our nationwide network of agents and lenders. Networking Opportunities with our other 8,000 members. Honor – We believe that our heroes deserve to be honored by all those they protect, educate and liberate. Sacrifice – Our heroes have sacrificed so much to ensure our liberties, education and safety, and deserve to be remembered for those sacrifices. Educate and raise awareness among the general public about the heroes who have served on their behalf by promoting the values of duty, honor, sacrifice and preservation.